Khargo: Furniture and Design: Khargo Tip Jars: SL10B Special Offer! We're celebrating SL's 10th Birthday with a special limited offer price tip jar! 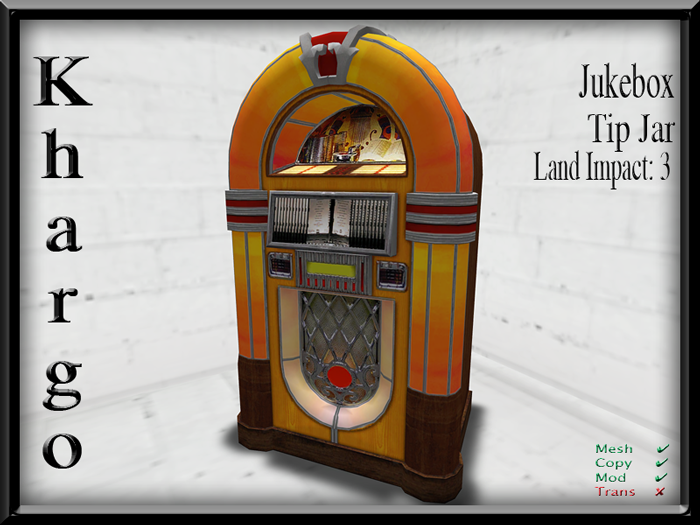 This Mesh Jukebox Tip Jar (land impact 3) is available during the celebrations for the special price of 100L$. Find this fantastic tip jar at our stand at SL10B, at our in world store or on the Marketplace!